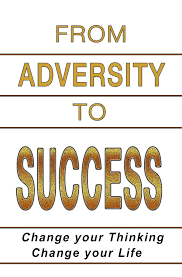 I wanted to share with you an opportunity I recently had to contribute to a book called FROM ADVERSITY TO SUCCESS: CHANGE YOUR THINKING CHANGE YOUR LIFE. This book is a collaboration of Mastermind members including Brian Tracy and Bob Proctor. In this book I talk about FINDING YOUR AUTHENTIC SELF. More specifically, I speak to other women. I love empowering women through information sharing, encouragement, and looking for life’s messages, moving past the adversity. I have learned to look for the growth message in my life experiences. I have also learned to recognize and overcome the self-defeating “self talk” .. and yes, we all have it. In this book, I talk about my journey and these concepts in my chapter (which starts on page 30). I’ll add a link to purchasing the whole book as soon as it’s available!